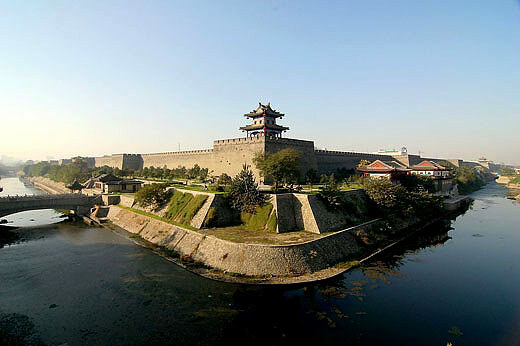 The Xi'an Banpo Museum is located in the eastern outskirt of Xi'an City, Shaanxi Province. As the first museum at the prehistoric site, it was built at the base of the excavations of the Banpo site. 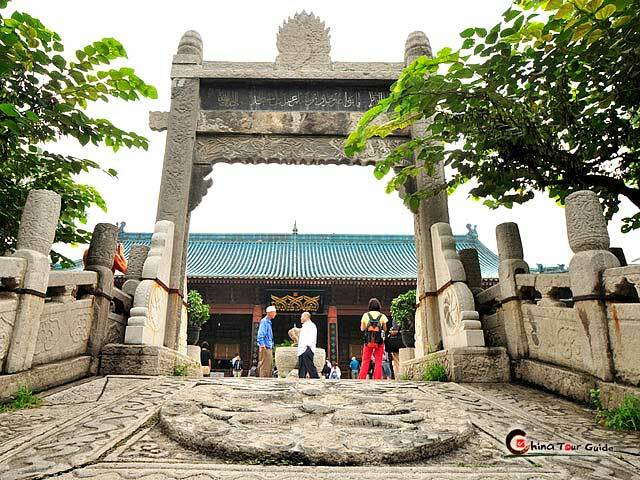 Since it first formally opened to the public in 1958, two million people have visited it. 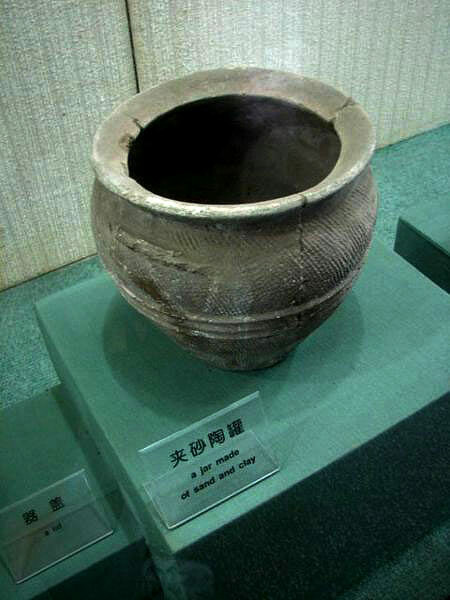 The Banpo Site is a typical Neolithic matriarchal community of the Yangshao Culture and dates back about 6,000 years. At that time, the Banpo people used tools that were made primarily of wood and stone. Women were responsible for making pottery, spinning, doing household chores, and raising their family, while the men primarily spent their time fishing. The 4,500 square meter (about 1 acre) exhibit area of Banpo Museum is divided into two Exhibition Halls and one Site Hall. The first Exhibition Hall is divided into two parts and displays a large variety of relics that have been unearthed in the site. The showpieces are primarily production and domestic tools used by the primitive Banpo people and include axes, chisels, sickles, and stone and pottery knives. From these items we can have a general picture into the everyday life and work of the Banpo people. In addition, to the tools, artwork and decorations have been found that reflect the social life, culture, art, and inventions of the period. The Site Hall is about 3,000 square meters (about 0.7 acres) and contains a residential, pottery making, and burial section. 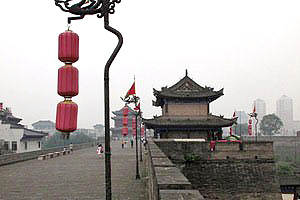 The residential area is the largest and displays the building types of the era, including huts, kilns and tombs. These also give us a unique view into the make up of the aboriginal village and some of the difficulties the people would have met at the time as the pursued to build a society, provide for their families, and establish social connections. The Banpo Matriarchal Clan Community Village is an extension of the museum based on archeological findings. 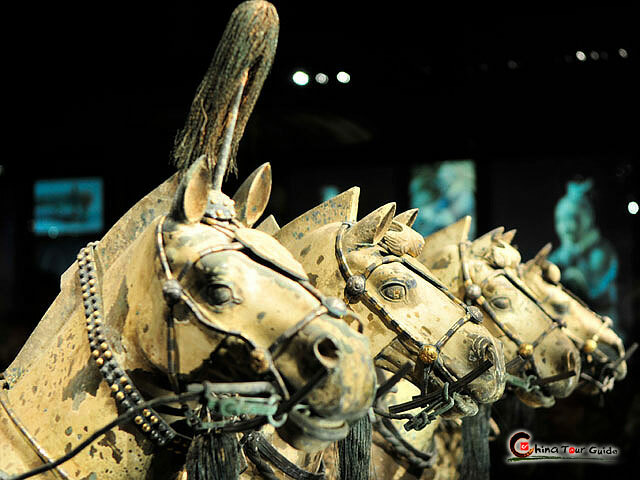 The entire village enriches the culture of the museum and at the same time reminds us of the long and splendid history of China.